If you’re not on social media, you’re not where your customers are. This applies to companies in every industry i.e. your engineering company, cloud telephone company or solar installation company. Many business owners look at social media as the place for “couch buyers” – customers who see an advertisement for new shoes and buy right then and there. 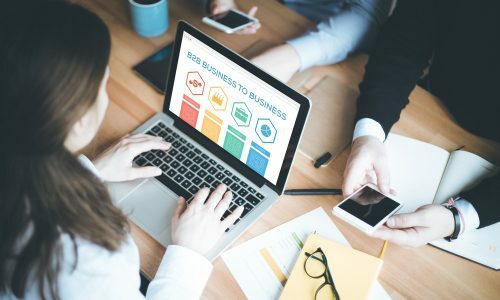 While social media definitely has a home for B2C companies targeting this type of customer, with more than a billion users around the world, there’s a home for the B2B businesses, too. If you’ve been shying away from Facebook, Instagram and LinkedIn because you think it won’t work for the B2B industry, you might be missing out on a huge opportunity. It’s time to start integrating social media into your existing marketing strategy and get in front of a larger audience. If there is one platform a B2B company should be on, it’s LinkedIn. The key to lead generation for many businesses, LinkedIn connects you directly to the powers that be – the team members making the decisions in the companies you’re trying to pitch your products and services to. In fact, LinkedIn advises that four out of five LinkedIn members drive business decisions and their audience has twice the buying power of the average web audience. We recommend making your LinkedIn company page read as though it’s a lead generation page. There’s no need to focus on standard company facts. If someone wants to read that, they’ll view your ‘About’ page on your website. Focus on the problems you solve. When it comes to your personal profile, this can also be leveraged to improve your social media presence. Make sure your team members’ profiles are filled in with on-brand information about your company (especially your sales representatives!) and encourage them to share your company’s updates with relevant hashtags for LinkedIn’s algorithm. Don’t stop at LinkedIn. Facebook, Instagram and Twitter can all be just as valuable for your social media marketing strategy. Take a look at the few examples below to see how some leading B2B companies are killing it across Facebook and Instagram. Cisco focus their content on their people and the positive impact their technology has around the world; from helping to create safer roads in Melbourne, through to restoring communications for public agencies who lose connectivity in hurricane affected areas. 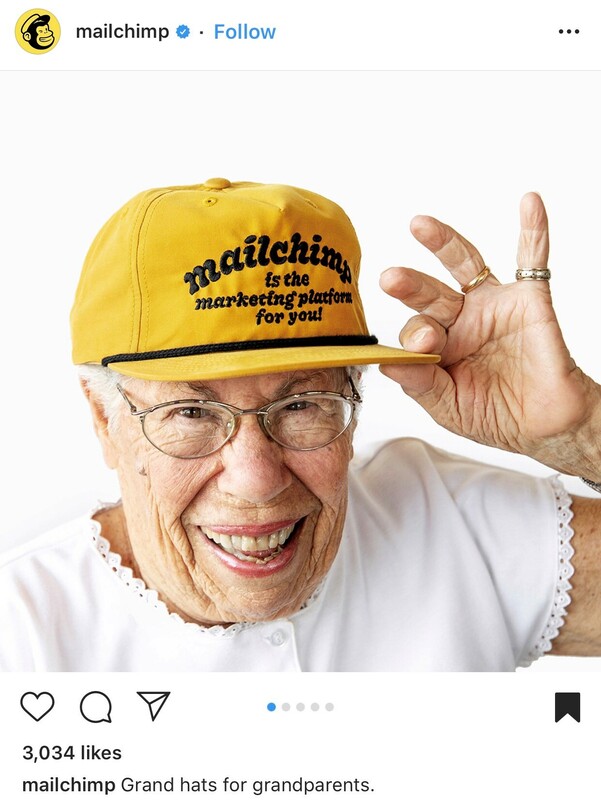 Mailchimp embraces humour, focusing all of their posts on a cartoonish aesthetic that matches their logo and branding. Their content is primarily focused towards those who will be using their service – the email marketers of the world – and they nail it. 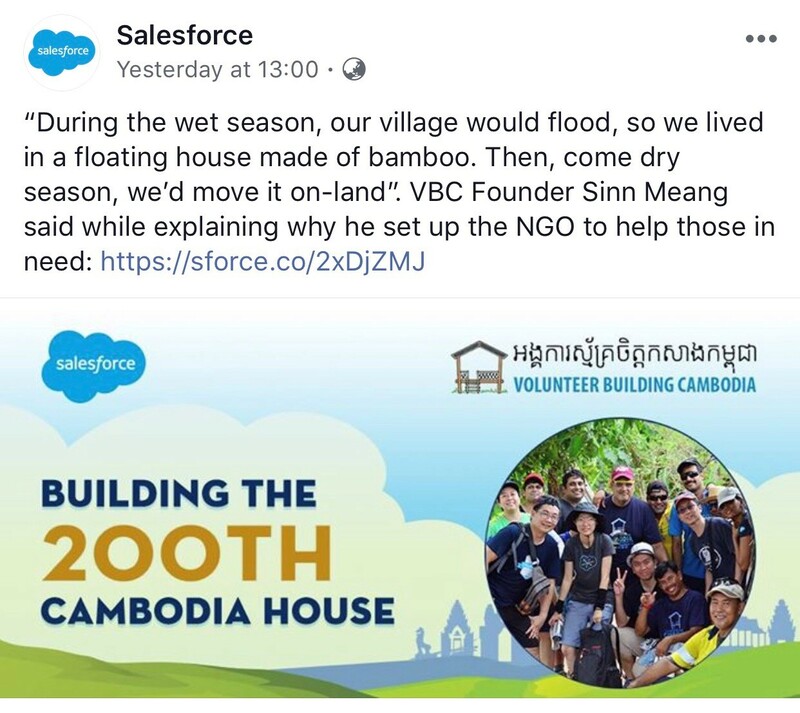 Salesforce have branded pages on Facebook across the world, with as many as 700,000 likes on their Australia New Zealand page alone. 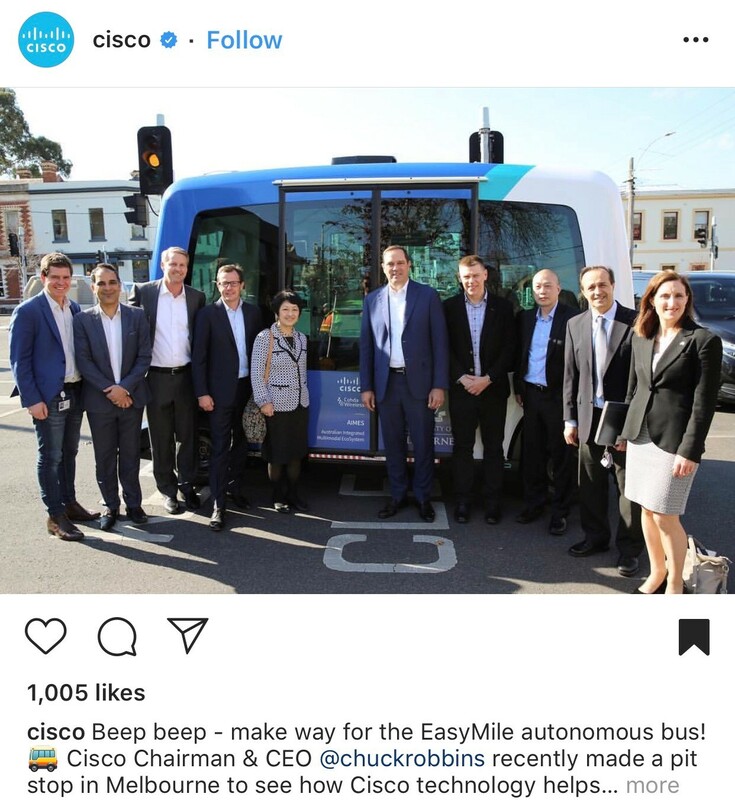 Their posts, like Cisco, focus on their people and the culture of their company, including their volunteer work and how they’re the #1 best workplace in Australia. With over 38 million likes on Facebook, Intel are well and truly in a league of their own. Combining content about their technology with curated content from their partners, they have the market covered. 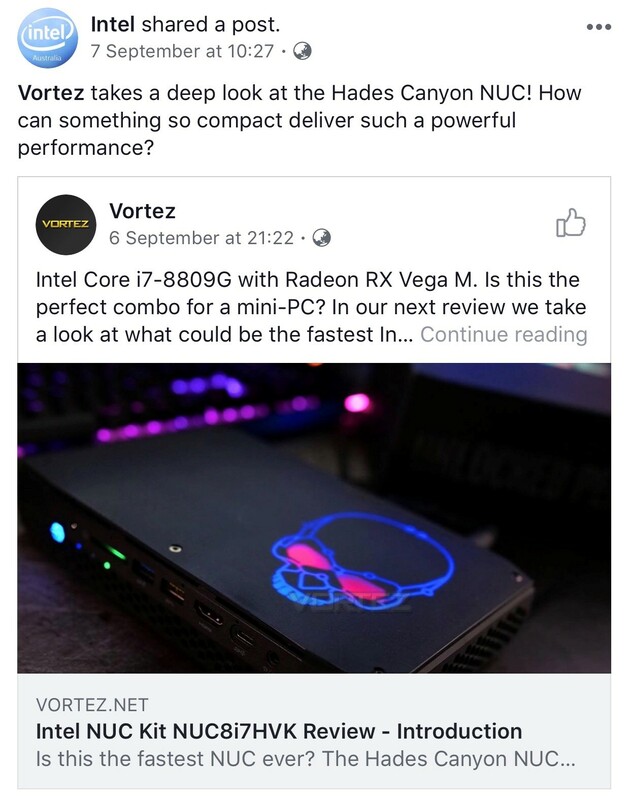 Not only do they appeal to the customers who want to buy Intel-powered computers, but they ensure their business-relationships remain strong. Even the most popular brands on social media had to start somewhere. If you’re struggling to get in front of people, there are a few things you can do. Firstly, refine your audience. If you’re trying to appeal to too many people – or the wrong people – your posts will fall flat. Think about who your customers are and the type of content they want to see. Ask your existing customers with a survey if you’re uncertain. Find out what appeals to them and start there. It’s okay to try new things, but make sure you learn from the results. Secondly, create a consistent brand voice and style. Make sure your content is recognisable right away to your customers. This means they will start relating your content with your brand and begin to trust your products and services more than your competitors. It also helps with remarketing efforts via other platforms. Lastly, make sure you’re spending money. Social media algorithms, Facebook in particular, have shifted the focus in recent times to prioritise content from our friends and connections. While many of us are happy to engage with valuable content from brands, no one wants to be inundated with it. In order to expand your target audience, you need to set a social media marketing budget and spend it wisely. If you’re not sure how to do this, that’s where we can help. Get in touch with an online solutions advisor to discover the ways we can drive your B2B social media marketing campaign today.